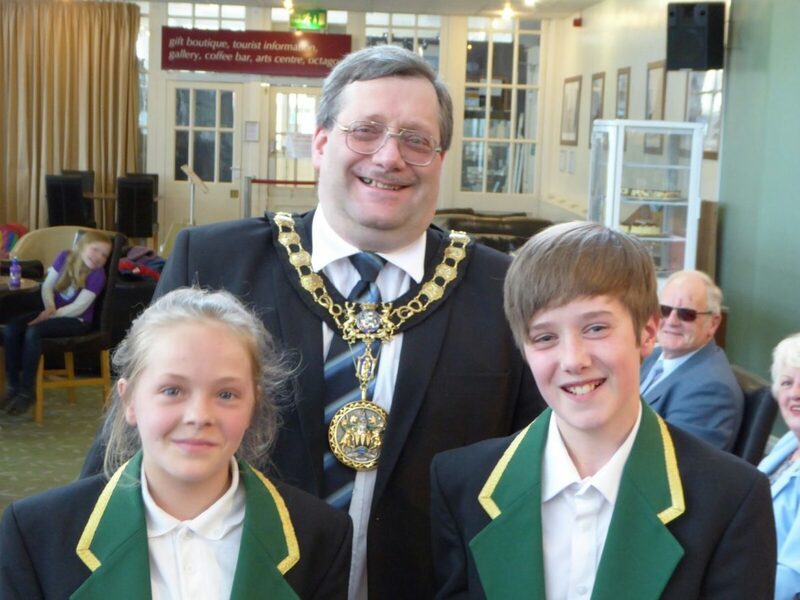 We’re excited to tell you that we’ve received a £190 grant from the High Peak Mayoral Charity for funding of new music stands. Sophie Hollinrake and Joshua Youd (two of our junior players) were there to receive the cheque. Upcoming Concert! Our next concert is at Sutton’s Ex-Servicemen’s club (near Macclesfield), from 4pm on Sunday 15th May. 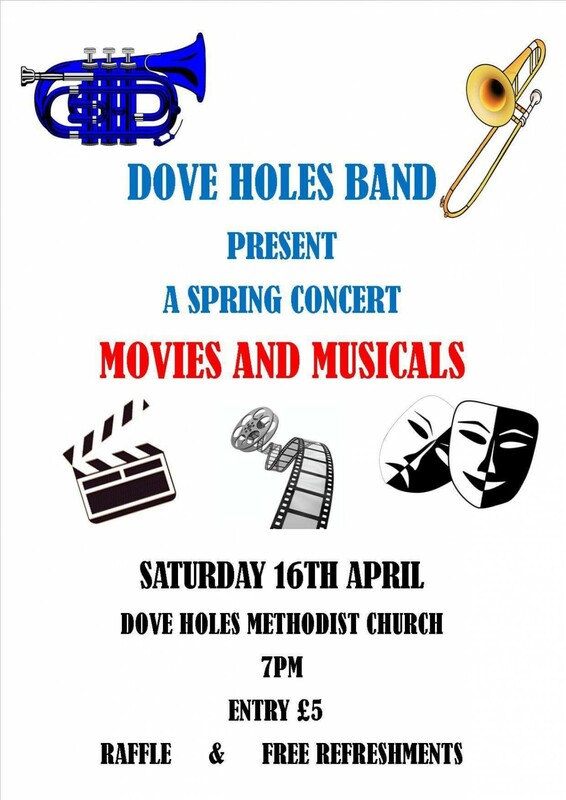 Come along if you fancy hearing some tunes from your favourite movies and musicals!